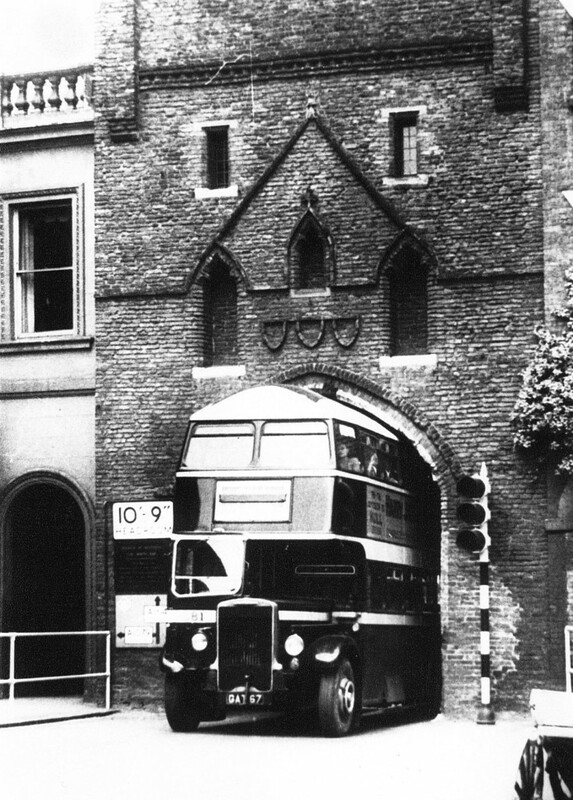 After 45 years, East Yorkshire Motor Services (EYMS) buses will once again be running through the historic North Bar arch at Beverley. EYMS is launching a new service to the newly developed Flemingate Centre in the town. The Wykeland Group, developers of the £70m shopping and leisure scheme, has announced that a new shuttle bus service is to operate around the town centre. The free service is due to commence on 31 October and will run every Saturday, initially for three years. It will take passengers on a hop-on hop-off loop of all the major Beverley shopping areas, including North Bar Within and the Georgian Quarter, the Market Place, Wednesday Market, the railway station and Flemingate. The bus will be a 27-seater ADL Enviro200, capable of passing safely through the North Bar and will be operated by Hull based EYMS. The bus will run from 09.00 to 18.00 every Saturday on 20 minute loops. An EYMS 1939 Leyland passing under Beverley Bar.